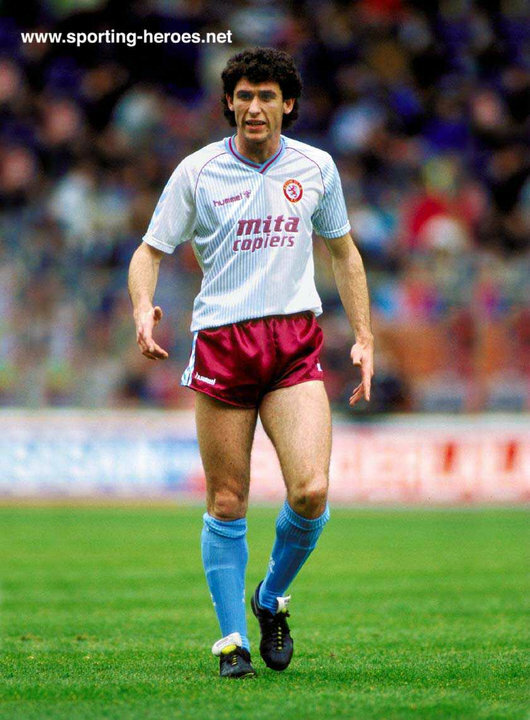 For Aston Villa, sky-blue shorts are a regular go-to alternative when required. A while back, we looked at how they were one of the options in 2011-12 season – and last season they also had mix-and-match options. 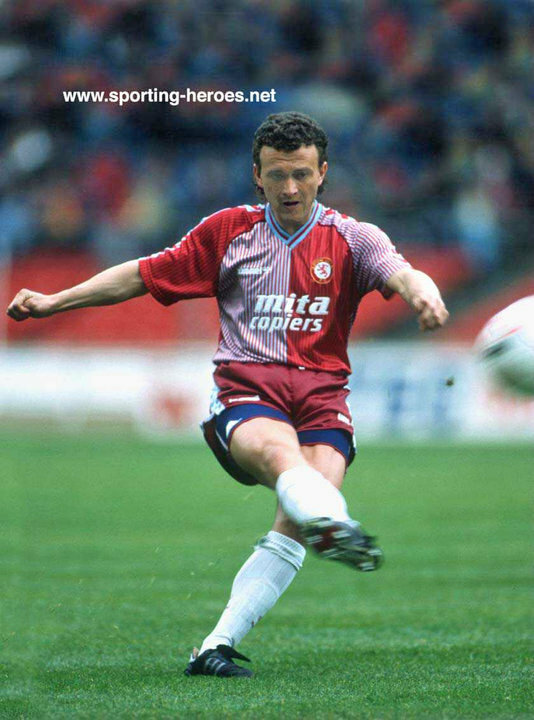 In fact, in 2000-01, the home shorts were sky-blue. 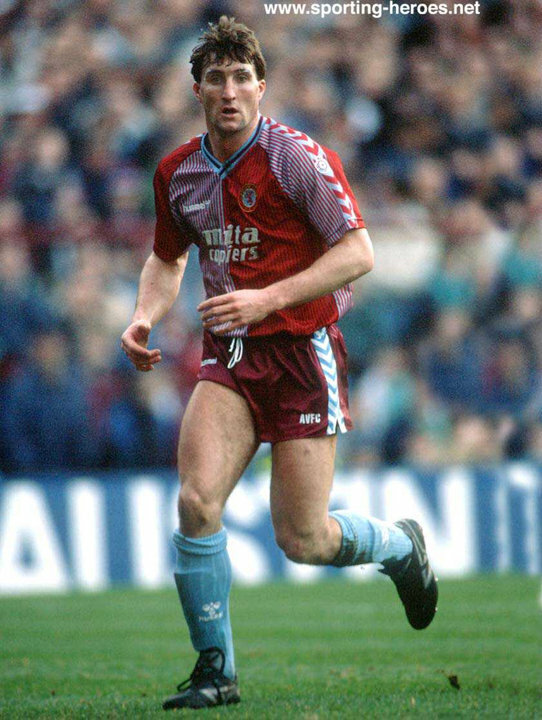 Even if the away kit doesn’t complement the home colours, they’ve generally had change blue shorts, but for some reason, the start to the 1989-90 season – when Villa would go on to finish second – was an exception. Why this should be the case was something of a surprise – they were still with Hummel and their previous sets, in the style of the 1986 Denmark kits, allowed for a lot of combinations. The new away shirt was white with black sleeves and purple trim, but one would have thought that the previous claret shorts could have been used when required. 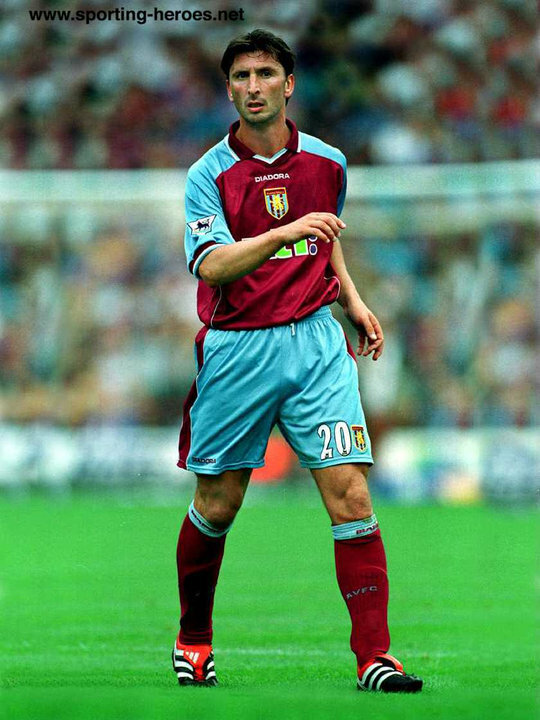 With the claret of the new home shirt slightly darker, it meant that Villa opted to wear it away to teams in red, with the away usually seen against sides in blue (due to referees seeking sleeve differentiation). Certainly unusual, but it didn’t seem to affect Villa as they drew 1-1. They would actually draw their first three games by that score before losing 2-1 at Southampton, but they bounced back thereafter and ended up finishing second to Liverpool. By the end of the season though, Hummel had finally come up with blue shorts. Three stripes and you’re out!